Quilters, paper crafters, stationery designers and even fine artists are blown away by the possibilities when they are introduced to a die-cutting solution they can use for their craft. Custom dies help them create unique items and save time. In Ontario the women of Quilts of Valour-Dufferin are on a mission to make a quilt for every World War II veteran. Their custom GO! die is helping them get closer to meeting that goal. 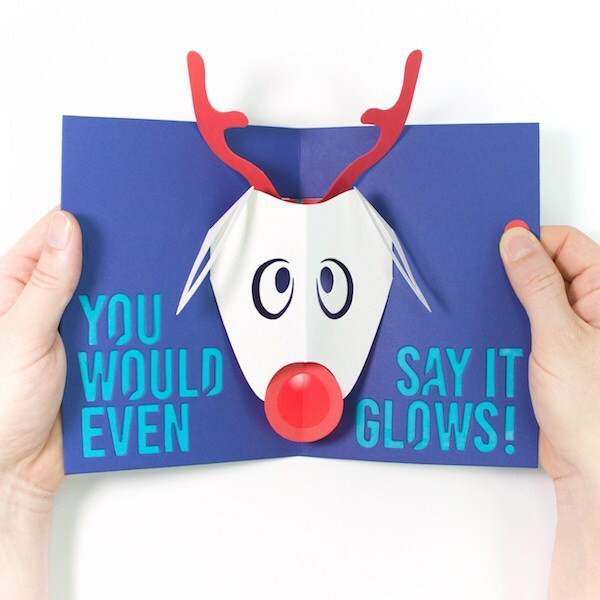 Product designer Natasha Dzurny turned to Custom Shape Pros when she needed a faster way to create her pop-up, light-up card kits. "They keep me sane." Longarm quilt instructor Michele Van Graan uses her custom steel-rule die to create door hanger kits her students can use to practice different techniques. AccuQuilt employee and quilter Pam Heller is inspired to have a custom die made to create a unique label for her quilts. She chose "Lola" after what her granddaughter Oakley calls her. Carol Weatherman, an accomplished fiber artist, uses a custom die made for her AccuQuilt Studio Fabric Cutter to quickly cut shapes for her self-designed Wool Sewing Basket.